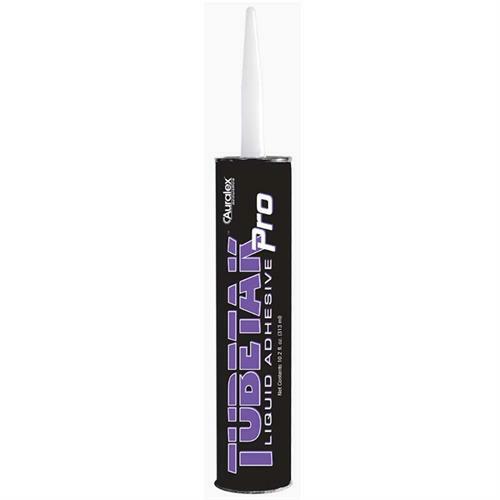 More on the Auralex Tubetak Pro Permanent Liquid Foam Adhesive (24 Tubes) TTPRO_CASE below. 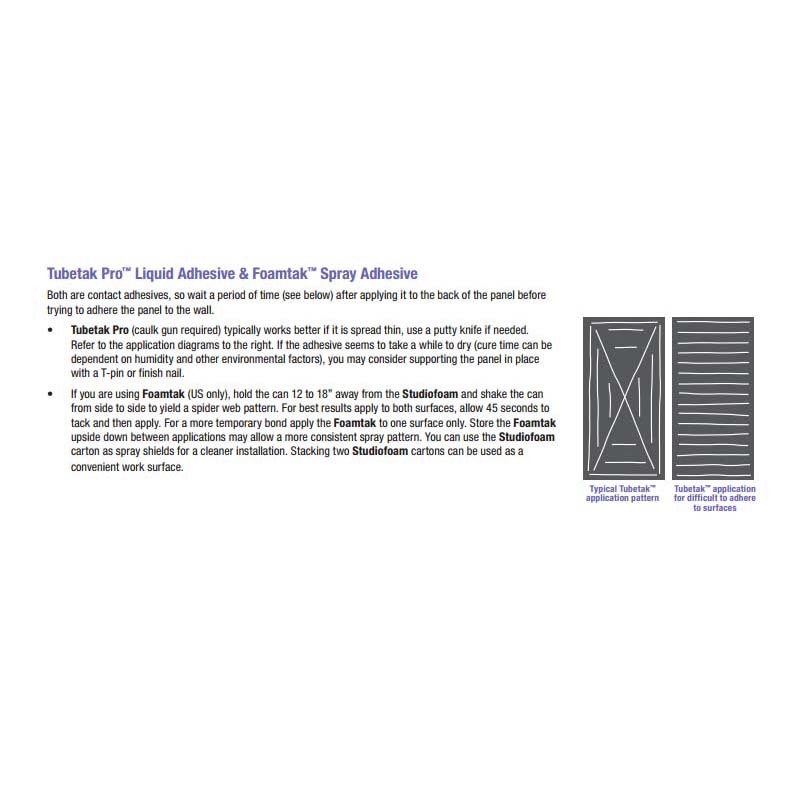 Tubetak Pro Liquid Foam Adhesive is a super strong, urethane based adhesive that provides a permanent bond for wall or ceiling mounted sound absorption foam and all other Auralex accessories. One tube mounts up to 32 square feet of foam or diffusors, depending on thickness. 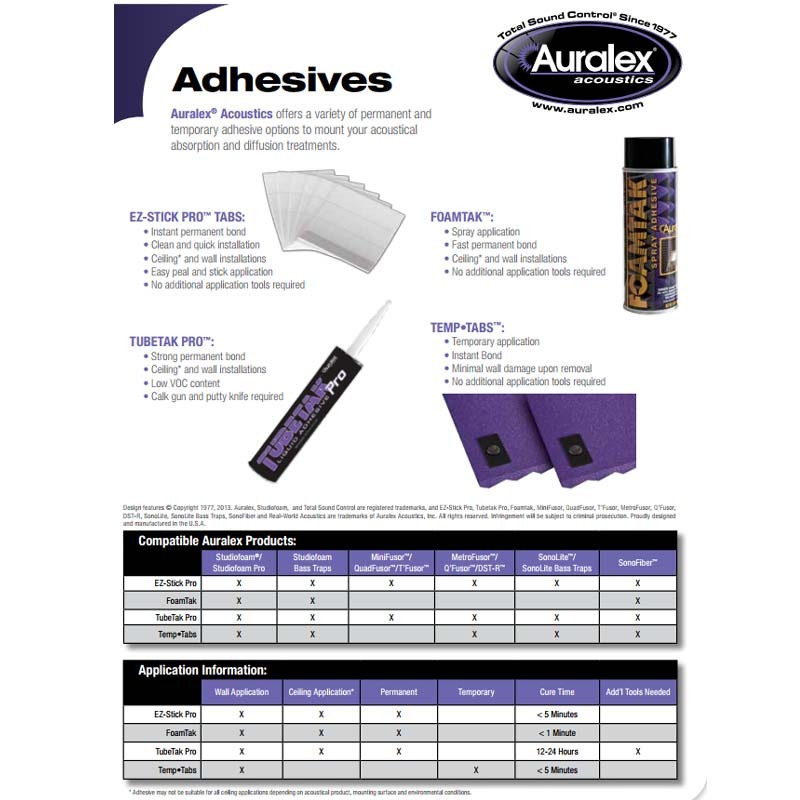 Other brands of liquid adhesive have been known to oxidize (or "eat") foam, but Auralex guarantees that Tubetak Pro will not oxidize Auralex foam products. Includes 24 tubes, which covers up to 768 sq. ft. This super strong, urethane based adhesive provides a reliable permanent bond and is recommended for rough surfaces. Can be used for ceiling and wall installations. Unique chemical properties, guaranteed not to oxidize Auralex foam products. Easy installation with a caulk gun and putty knife (not included). Also available in a single tube pack. See related products below. Please Note: Tubetak is considered Consumer Commodity ORM-D. May not be air-shippable.